is setting new performance benchmarks in their segment. 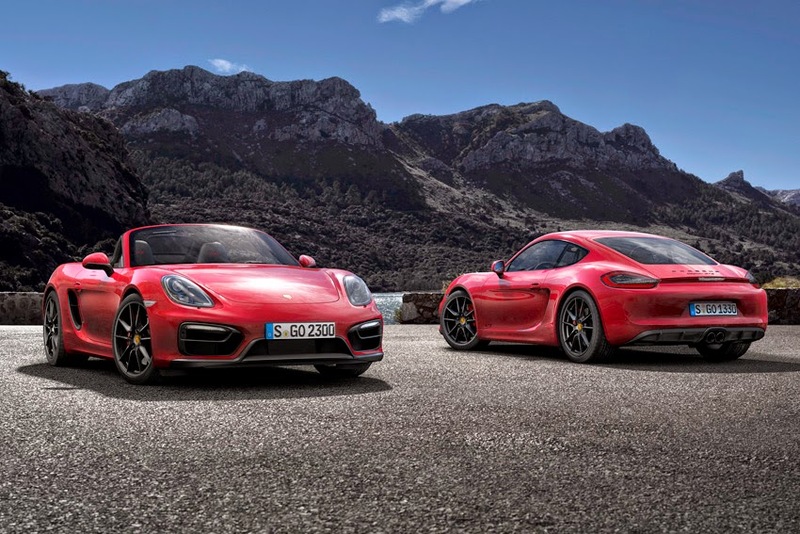 The six-cylinder boxer engines fitted are based on the 3.4-litre units from the Boxster S and Cayman S. Due to fine-tuning they deliver an additional 15 hp - the Boxster GTS now has an output of 330 hp, while the Cayman GTS delivers 340 hp. Torque increases by 10 nm in each model. Featuring the Sport Chrono package as standard and when equipped with the optional Porsche Doppelkupplungsgetriebe (PDK) gearbox and Sport Plus mode, the Boxster GTS sprints from 0-100 km/h in 4.7 seconds, whereas the Cayman GTS is a tenth of a second faster. Along with the new GTS sports cars, four exclusive new products for the Chinese market are also making their debut. The company will furthermore present two new race cars, the 919 Hybrid and the 911 RSR, as well as the 918 Spyder Hybrid super sports car in Beijing.